Jewelry retailers and enthusiasts need not look further for jewelry display, tools, and supplies as premier online distributor and wholesaler of jewelry displays, NileCorp.com, adds more displays in its already vast product catalogue. A piece of jewelry can never sell itself when not displayed properly; hence, the need for a good jewelry display. A piece of jewelry can never sell itself when not displayed properly; hence, the need for a good jewelry display. Knowing the need for jewelry retailers and jewelry enthusiasts alike, leading online distributor and wholesaler of jewelry display, NileCorp.com, expands its already wide catalogue of jewelry display. Customers can find ring, watch, necklace, earrings, and bracelet displays in various designs to suit the theme of a client’s jewelry store. To date, NileCorp.com already has jewelry displays numbering in the thousands – from display trays, sets, gift boxes, stands, and more. Made of plastic, wood, metal, wire, acrylic, leatherette, velvet and more, the company is sure to have the jewelry display any discerning customer will fancy. NileCorp.com also offers jewelry tools and supplies. Visit http://www.nilecorp.com/ to view the company’s complete product catalogue. Among the new products added are a 19pc. 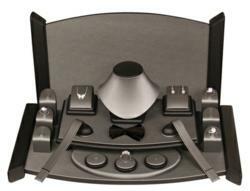 Jewelry Display Set in a gorgeous steel grey/black color, which holds rings, earrings, bracelets, and a necklace. 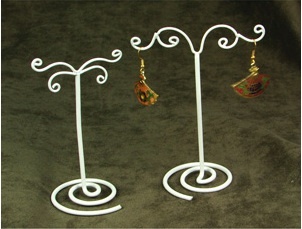 This jewelry display set is offered at a low price of $73.50 to $88.00, depending on the number of pieces ordered. Metal wire necklace stands in a lovely antique bronze or black have arrived, only for $5.00 to $6.50 each. 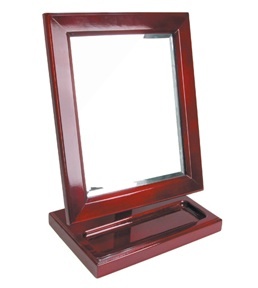 More display mirrors with compartments, in different colors, have also been added to the company’s growing collection of jewelry display accessories. Wire metal erring display stands, mesh T-bar bangle display, plastic watch display, jewelry tools, supplies, and beads are also among the new jewelry display items introduced. As a company, NileCorp.com is committed to being a one-stop-shop jewelry display, tools, and supplies superstore. New products are added week after week to ensure client satisfaction. With its top-rated quality, unmatched product selection, and superior customer service, this online wholesaler has already made a mark in the jewelry display industry. A strategic partnership with this premiere wholesaler and distributor will lead to exponential profits for retailers as all jewelry display and other products are offered at prices much lower than the rest. To receive first-hand information on new product arrivals, on sale items, discount and promotions, subscribe to the company’s official newsletter. NileCorp.com is a leading wholesaler and distributor of jewelry display, tools, and supplies. The company offers a vast selection of ring, earring, bracelet, watch, and necklace displays. 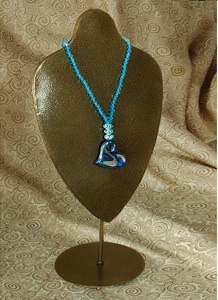 Gift packaging, display trays, jewelry making tools, and beads are also offered. For more information, please visit http://www.nilecorp.com. Press release produced by Cybertegic.com – an Internet marketing services agency that specializes in search engine optimized press release marketing (SEO marketing).